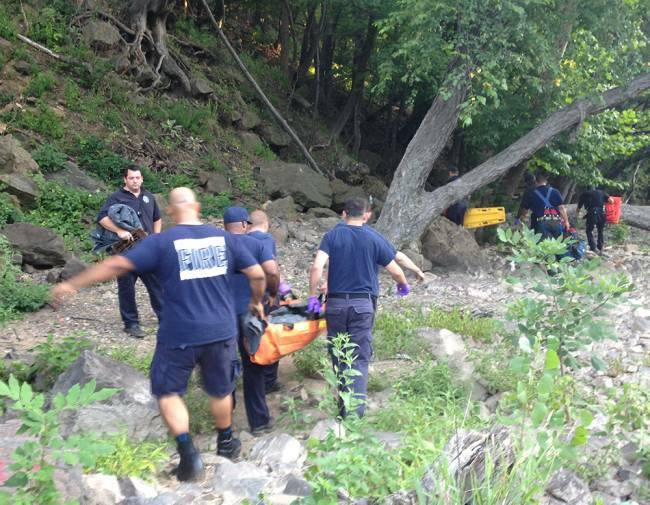 PATERSON – Police officers and firefighters rescued a man who was clinging to rocks in the Passaic River this morning in the Valley of the Rocks. Authorities received a call about the stranded man around 6:05 a.m., Deputy Fire Chief Frank Calamita said. Police officers waded into the water and pulled him out around 6:30 a.m.
It’s not known how he got into the water but he was conscious when he was found, Calamita said. Firefighters carried him up a rocky path to an ambulance. He was transported to St. Joseph’s Regional Medical Center. 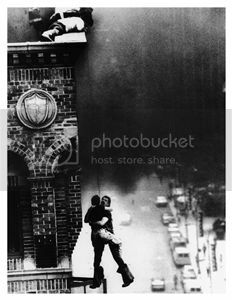 “Due to the great job by the fire department and the police department, the guy was able to be retrieved safely,” Calamita said.